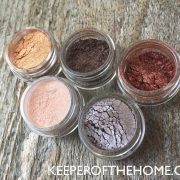 I am so excited to be a part of the Real Food Made Simple series on Keeper of the Home. I’ve been on a real food journey for over six years now and my hope is to share with you some of the knowledge I’ve gained along the way. By now you’ve learned a bit about what real food means, first steps towards eating real foods, and you have learned some great tips on how to cut your kitchen time in half. You’ve also learned how to read food labels and tackle the great grain debate. Now it’s time to think about your food sources. the costs as compared to their industrial and conventional counterparts. Many people do not understand the significance in nourishing our bodies with real foods. By eating organic or local, to some, you may seem bourgeois. 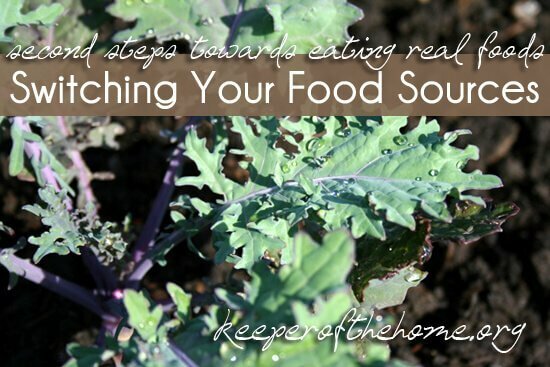 For me, the importance of sourcing real food is for the health and well being of my children. There are studies upon studies of the detrimental effects that industrially-raised and conventional foods can create. 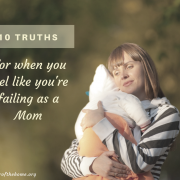 From a weakened immune system, behavioral problems, to early onset puberty – my children are much too important to care what others may deem elite. I would rather be feeding my children real foods without preservatives, chemicals, and hormones knowing well that their little bodies and immune systems will be strong and nourished. *This is just the tip of the iceberg on the importance of sourcing real food for health. Many people first attempting to make a change to real foods are under the assumption that buying organic and pasture raised/grass-fed foods is too expensive. They assume that they can’t afford it. In my Real Food, Food Budget series I share how I buy real food for my family with $100 – $120 a week. cook homemade meals at home. NO PROCESSED FOOD… it’s EXPENSIVE! To read the full article on menu planning and saving money on real food, click here. 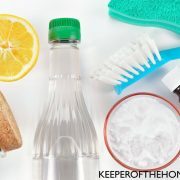 To read the full article on saving money by buying in bulk, bartering, working, and making the right connections, click here. Stephanie’s note: I absolutely agree with Diana, and employ the same types of strategies. I’ve written a full-length book on this topic- Real Food on a Real Budget: How to Eat Healthy for Less. You can also read a post that I wrote on What I Would Feed my Family on a Monthly Budget of $250. It really is possible to eat real food on a tight budget! It would be incredibly expensive to replace your entire pantry. Instead, start with the top foods that contain the most chemicals, preservatives, and hormones. 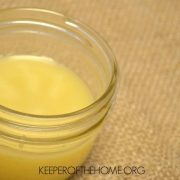 Toxins from hormones and pesticides are stored in animal fat. If you’re buying conventionally-raised milk, cheese, yogurt, and butter, you can be sure that they contain these toxins. Next Best: Local, Non-Homogenized VAT Pasteurized Milk. Heated to 185F reserving some of its vitamins and enzymes. Next Next Best: Organic Milk – AVOID ultra high temperature pasteurized organic milk. It’s been heated to a point that all of its nutritional value, including vitamins and enzymes have been killed in the pasteurization process. To compensate, synthetic vitamins are added back into the milk once pasteurized. *Ultra High Temperature Milk can actually be stored on a shelf at room temperature for 6 months! Best: Grass-Fed – KerryGold Brand or homemade butter from full fat grass-fed cream. Meat is especially important to buy from a trusted source pasturing their animals. This ensures that they are raised sustainably, humanely, and without hormones or unnecessary antibiotics. It’s amazing to think that 80% of antibiotics sold in the United States is for farm animals. Local, pasture-raised meat can be costly. We are so used to paying CHEAP prices for meat, that we don’t understand why local has to cost more. Please remember that family farmers pour sweat and blood into raising animals as God intended for our nourishment. The meat contains nutrients that far surpass anything you’ll find in a grocery store packed in cellophane. *Living in Iowa, I haven’t even touched on the environmental issues and health problems from the thousands of factory farms. Make it a resolution to buy local meat this year. If you’re getting a tax return, invest it in your family’s health. I personally get grass-fed meat from Ebersole Cattle Company and pasture-raised heritage breed pork from Stamps Family Farm. Both family farmers ship to the entire United States and also have payment plans. To find a local source, visit localharvest.org. Eggs are particularly important to buy either locally or from a source that you know is pasturing their birds. Chickens eating grains as their main diet will have fat-soluble pesticides in its feed transferred to the egg yolks. Be aware that many “cage-free” varieties actually only give their chickens a small allotment of space to range–usually without any access to pasture. Best: Local and pastured or from your own backyard. Next Best: Cage free from a source that you know is pasturing their chickens. Next Next Best: Organic, since their feed will be pesticide free. 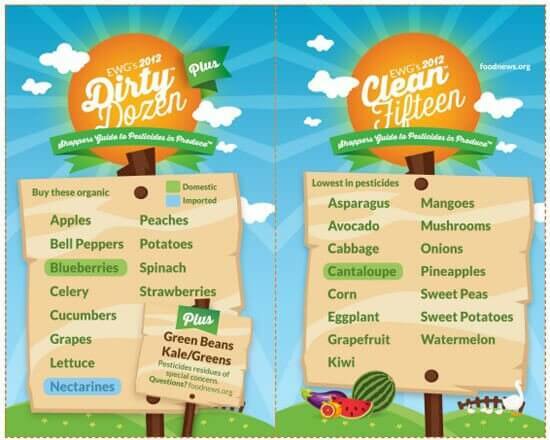 For fruits and vegetables I always stick to the dirty dozen and clean 15 list. I know this can be a lot of information to take in. In order to help more people eat real food on a budget, I’ve started a meal plan called, Spain in Iowa’s Organic Menu Plan on a Budget. The menu plan list will help you prepare nourishing, nutrient-dense meals for your family. The menu will consist of weekly real food meals with a shopping list that will keep your weekly budget at or around $120 a week. My plans will keep your family eating important nutrient-dense foods at a manageable price. For more information, please sign up for weekly updates or visit us on Facebook. Are you making a commitment to switching your food sources this year? Please share your favorite sources for real food. I mention this because $120/week is more than I could ever afford for groceries. In case another reader is in that same boat, and feeling discouraged at the cost, know that it is possible to do it for whatever budget you are on. You just have to prioritize and decide which things are most important for you and your family. Thanks for this series! I’m loving it so far! I agree, $100-120/wk. on groceries is WAY more than I could ever afford or dream for groceries. I do $250/month for our growing family of 4 (so far), I can’t do everything organic and completely real, but we do well and don’t buy processed foods. I make a ton. Stephanie, I can not imagine how you only spend $50-$60 per week. Does that include your milk and meat? I bulk buy meat so my $100-$120 doesn’t include that but it does include our $27 a week on raw milk. However, we buy mostly vegetables and fruits, organic so I’m quite stunned. I have a family of five. Also, I make all my own breads so I’d love to hear what you buy and what you make throughout the week. Vegetables are very important in my family’s diet. I’m interested for sure! It’s only my husband and me so far…so that is probably why. I also live in one of the lowest cost-of-living states in the U.S. (South Carolina). We buy raw milk ($7/week) and grass-fed meat, but one of the things we had to do to afford our real-food diet is cut back on our meat consumption. I buy organic produce when available, but for some things it’s not. Thanks for this great roundup of qualities to look at in making better food choices. My wife and I have been working towards providing healthier food for our family. My favorite thing we have done is get some backyard chickens about 2 years ago. I was glad to see that in your article. They are great fun! I appreciated your list of ‘must buy’ organic items and others that aren’t as high a priority. 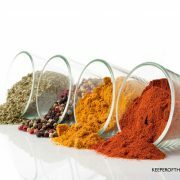 We have found that we are more careful to fully consume our high quality products. In years past when we were eating junk we didn’t mind if some of that junk went to waste and we tossed it in the trash. Fully utilizing the food we purchase has saved us money even if it costs more up front. I just wanted to say that Diana’s article on eating clean is wonderful! Recently, I started my own accountability blog as you will on my journey to eating wholesome, natural, clean foods. I do not believe in the word diet, it is a lifestyle change. My blog is me being honest about being a fat, unhealthy, 40 something woman, how I got there, and how I am changing it. 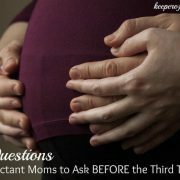 Thanks so much for your articles I will be sharing this on my blog and on my Facebook page. The Goddess I Truly Am Inside? I Think I Ate Her! It’s funny that you choose the picture of that New Zealand cheese for this post. 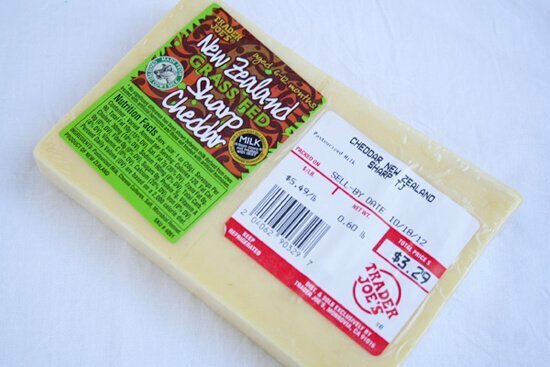 I saw it at Trader Joe’s last week, and I wanted to buy it until I realized it actually came all the way from New Zealand. It bothers me to think of the carbon footprint that is caused by our wish to get everything from everywhere all the time. Buying local is not only a matter of supporting local farmers, it is an environmental issue. I admit I cannot stop myself from getting some real Manchego now and then, but other than that, I try to limit the amount of imported foods I buy. P.S. Sorry for complicating this food choice issue even further! Great post! I’m starting to make the switch to whole foods. Since I will be only buying for one to three a week I will probably do about 50-70 dollars a week (possibly less). 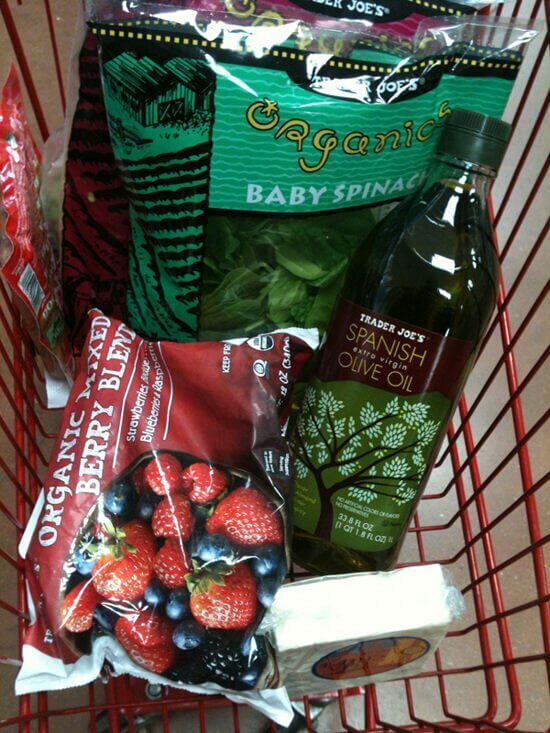 I’m encouraged to hear that buying organic doesn’t have to be super expensive! Such awesome information. We buy organic, whole foods 90% of the time. We use a local delivery service that works with local producers. We love buying locally and knowing where are food comes from. We have developed such a great relationship with farms in the area and feel really good about supporting them. Plus, I don’t find the prices significantly higher at all. I always tell people it is the difference between cable tv and no cable tv. It is completely worth it for us! Diana, thank you for such a concise and helpful post! I buy raw milk and pastured meat and have a large garden but now need to focus on better cheeses and butter. Every year I look back and am encouraged by how much we have changed, instead of looking ahead and feeling overwhelmed. Posts like this encourage me to keep going! 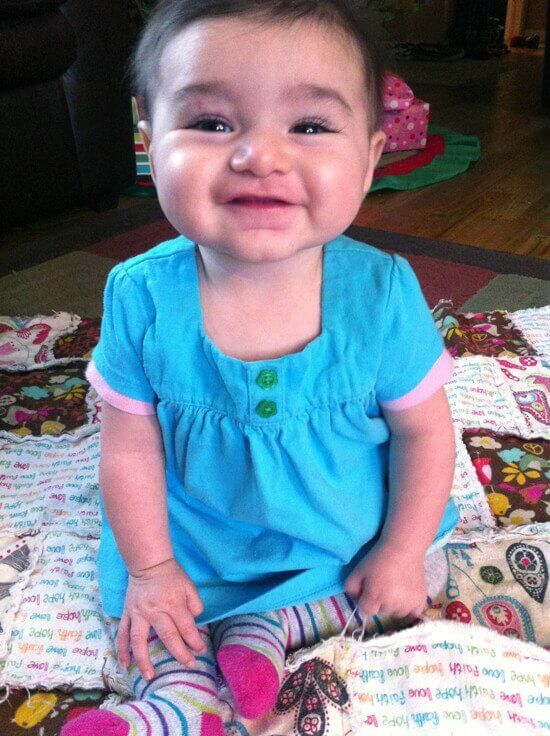 Oh, and that has to be one of the cutest little baby girls I have ever seen!!! I agree that $120 is WAY more tan we can afford right now (4 people). 🙁 We live in Denver on a pastoral salary. We do what we can and trust that God will take care of us- health and all! Thank you for this post and for this series. I am feeling a little discouraged, though, after reading this post. According to this, we’re not eating “real food” at all, since I buy our dairy, eggs, and meat from a conventional grocery store (we live in a small town without many options for healthy/organic) and I rarely can afford to buy organic produce. We’re living on a pastor’s salary and I have a grocery budget of $50/week for our family of 4 (so far). I cook everything from scratch, bake our own bread, make yogurt, etc., but I feel like I’m still not doing enough since our food doesn’t come from the sources you mentioned. We are hoping to get some backyard chickens this spring, but other than that, I don’t see how we can afford the changes you mentioned in this post. We are doing the best we can and, like Jaclyn said, trusting the Lord for our health!